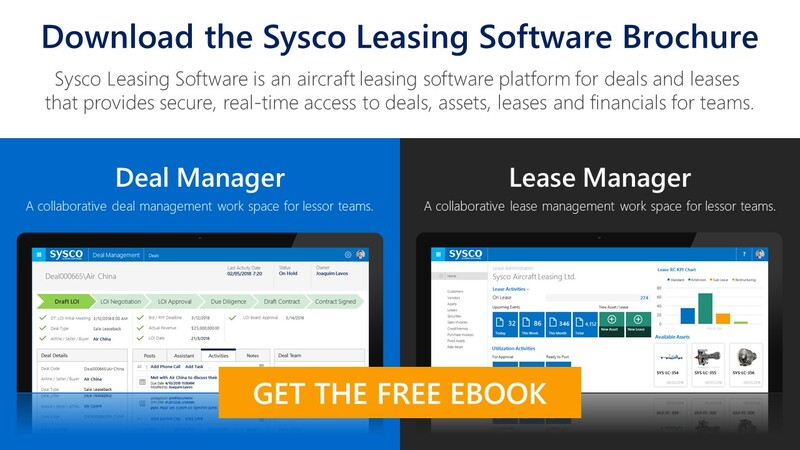 The Sysco Leasing Software Deal Manager provides a collaborative aircraft leasing deal management workspace for aircraft lessor teams. 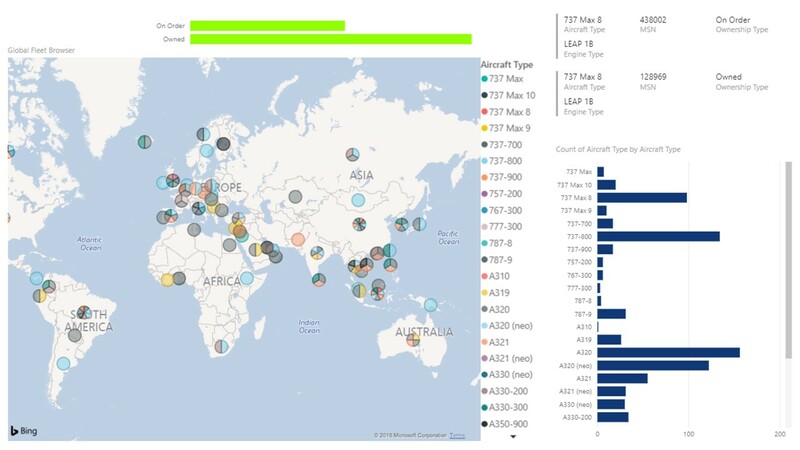 Manage Aircraft Deals with Deal Manager, regardless of fleet size and create a holistic view of all aircraft deals and assets across a lessor’s organisational scope. Allowing teams to interact, prioritise, track and monitor deal progress. 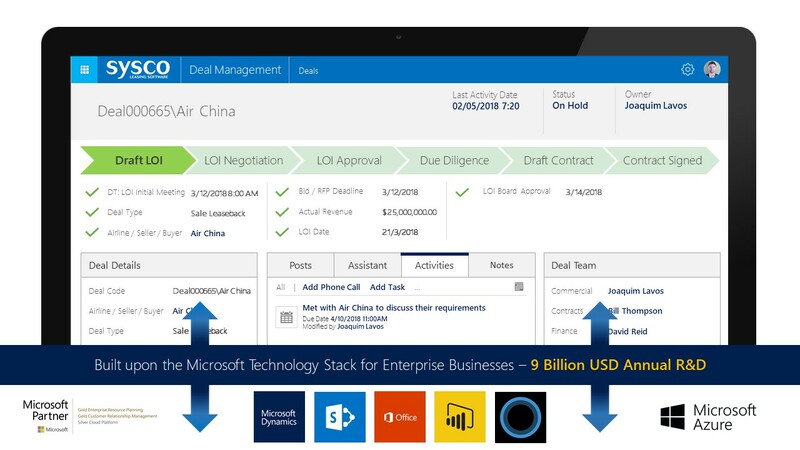 The Deal Manager enables aircraft sales teams to deliver an exceptional customer experience throughout the deals process. From initial origination of accounts through to drafting of LOIs and bid iterations and contract signing. Moreover, with comprehensive mobile support on Android, Windows and Apple devices, you’ll be able to work on Deals and communicate with colleagues wherever work takes you. Safe in the knowledge that you’re only ever looking at one version of the truth. 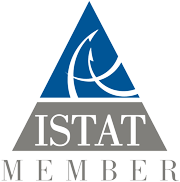 For lessor teams to deliver a consistent, exceptional customer experience during the deals process, lessor sales teams need to manage the aircraft deals process in a structured and process driven way regardless of the type of deal for example a sale and leaseback, remarketing of an aircraft, trading purchase and so on. The Deal Manager gives process to progressing aviation deals along a lessor’s ‘sure-step’ process with full team access. From initial draft copies which are seamlessly version controlled to LOI negotiations, approvals through to due diligence, contracts and more. Each step in the process is entirely customisable as to how your teams operate and where each teams’ responsibilities land. Complete stages enable the deal to be progressed onto the next stage of the process so that all relevant details are checked off before the next team involvement. Within Deals, a comprehensive record of internal posts, activities and notes are recorded with visibility and transparency across teams. Track not only the internal communications regarding an account but the external conversations that have occurred with account contacts – all from the deals workspace. With any aircraft lessor, it’s key to focus on deals that matter the most to the bottom line. With Deal Manager, you can manage your entire sales pipeline with sales and fleet focused dashboards that provide instant insights into your sales pipeline. The visualisation of deals and fleet data is what makes Deal Manager so successful in managing the sales cycle. Deep drive into data, analyse market trends and identify new sales opportunities. 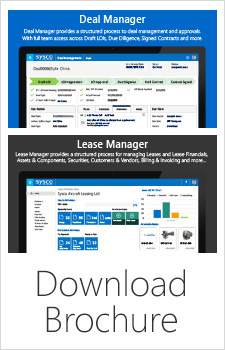 Download the Sysco Leasing Software Brochure – packed full of information deals and lease management teams. Watch the Deal Manager Webinar – a step by step on-demand guided video through the Deal Manager features. Watch the Lease Manager Webinar – a step by step on-demand guided video through the Lease Manager features.